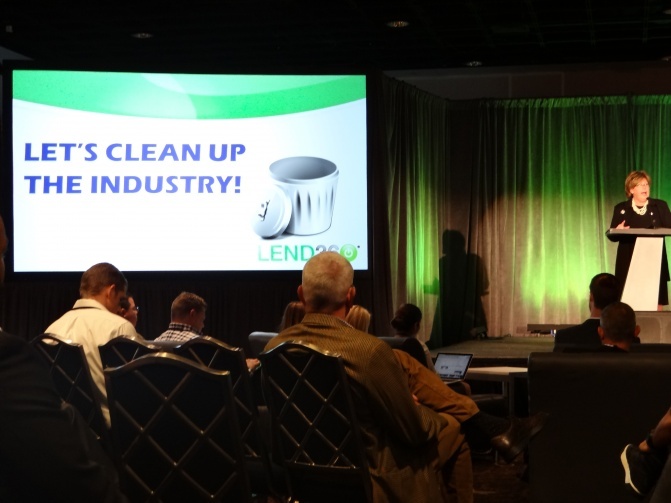 The Lend360 Conference in New Orleans last week had a different vibe from the five other conferences I’ve attended this year. For one, I was a partner in it through DailyFunder. And further, there was a huge focus on best practices, ethics, and regulations. Expert speakers and panelists aired it out to dispel myths and disclose risks. Most telling about the future was a response from Victory Park Capital’s Brendan Carroll about whether or not he feared looming regulations could hurt the merchant cash advance and alternative business lending industry. As someone who has invested heavily in Kabbage and more recently in Square Capital, he expressed concern about regulations in general but clearly was not convinced they were on the immediate horizon for the industry. Lisa McGreevy, president of the Online Lenders Alliance moderated the two-man panel which also consisted of John Hecht of Jefferies and she did a great job of digging out the true thoughts from one of the room’s most powerful investors. It’s unlikely a company like Victory Park Capital would invest hundreds of millions of dollars in an industry they believed faced imminent regulatory upheaval. Merchant Cash Advance regulation is not on any regulator’s immediate agenda but they are doing their homework. 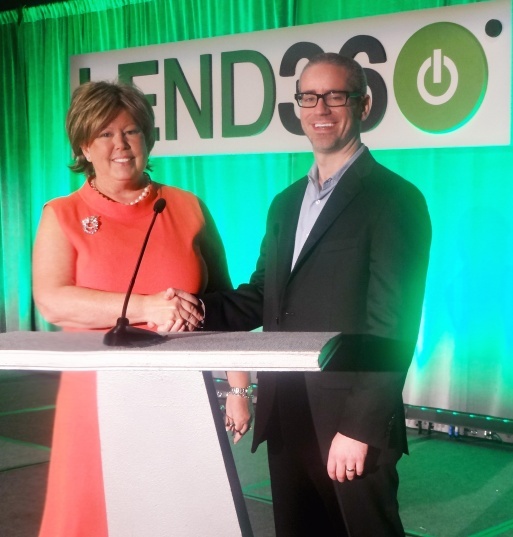 At Lend360, it was revealed that several members of the North American Merchant Advance Association met with the Federal Reserve in Washington D.C. months ago for a Q&A. There’s communication occurring now on some levels. Even I’ve been contacted by the Federal Reserve to comment as a part of a broad research assessment. Eventually I believe the CFPB will try to play a role in the industry through Section 1071 of the Dodd-Frank Act. We’re a long way from there though and it doesn’t mean they’ll be successful. Even internal operatives have expressed doubt on business-to-business jurisdiction. In the meantime, it’s not all blue seas and sunny skies. Robert Cook, an attorney at Hudson Cook, LLP explained at the conference that the industry is already in many ways supervised by the FTC. And with the FTC, it’s not a question of how high the costs are, it’s about how transparent those costs are. If they’re high, fine, but do the customers understand them and are they marketed accordingly? Terms like guaranteed, 99% approval rate, and lowest rates can be deemed deceptive if not true. Transparency, ethics, customer experience, that’s what people in the business need to be focused on right now. Stacking, while a polarizing topic, seems to be a matter of contract law. Everybody’s caught up in the stacking debate believing it’s the lightning rod that will attract regulation. If left unchecked, it might draw interest, but it’s the fundamentals that get overlooked that could draw the ire of an agency like the FTC. If your marketing says “rates from 1.10 and up”, while actually contracting 99% of your customers with 1.49s, that’s something you’ll probably want to address now. Think about the net cost your customer is likely to be charged. If a 1.10 is a buy rate and there’s a 10 point upsell, a 10% closing fee, and 10% origination fee that makes the end cost closer to a 1.40, you probably don’t want to market the cost as 1.10. Right now it all basically comes down to doing good business in a transparent manner. Costs may be high but explain those costs, make sure the customers understand them. Don’t be deceptive. There will always be critics of high costs, but rational people are being exposed to the sober reality that you can lose money even at a 50% interest rate. As a word of advice for new ISOs and brokers, stay away from funding companies that don’t even have a paid email account. If a funder is too financially strapped to afford a web domain, they probably are going to cut corners in other places too. The story about working off a gmail or hotmail account in the interim while they try to get their website set up is indicative that they’re getting ahead of themselves. There are way too many solid funding companies to choose from for you to entertain doing business with hotFunding4ISOsNow@hotmail.com. Even middlemen are accountable in the grand scheme of best practices and the customer experience. 8/13/14 Should Licensing and Accreditation come to Merchant Cash Advance?